This Ground Sea Salt from Geo Organics is traditionally harvested from the Atlantic shores of Portugal, and brought to you to help bring alive certain dishes, or to simply add a little seasoning to your cooking. Certified organic by the Soil Association. 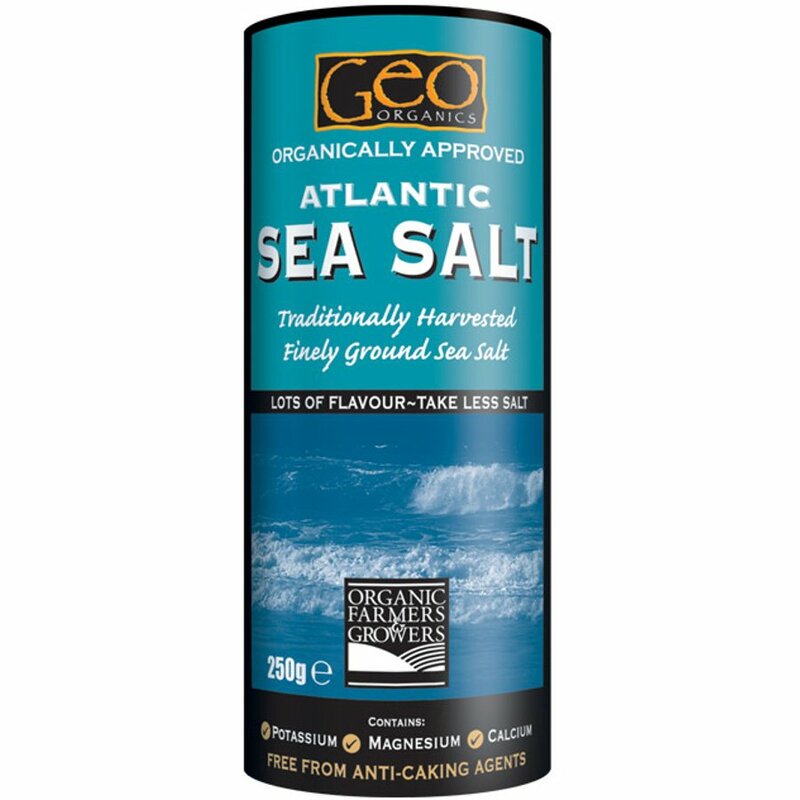 The Geo Organics Atlantic Finely Ground Sea Salt - 500g product ethics are indicated below. To learn more about these product ethics and to see related products, follow the links below. Salt is used every day and this salt is very tasty, strong , so you need less. Handy container sometimes frustrating as it won't allow enough salt through, bu t worth it for the taste. Does what it says on the tin: makes food salty. Excellent quality, you don't need a lot like from the cheap table salts, so lasts very long. Made by eco-friendly method. 5 out of 29 found this question and answer helpful.